Our range of stainless steel and chrome wire trolleys are easy to handle and highly manoeuvrable. Ideal for use within high care environments such as food production areas, the non-corrosive and hygienic nature of the stainless steel trolleys is perfect for applications involving food contact. Explore the range and choose a wire trolley or stainless steel trolley to suit your requirement. Chrome wire trolleys and basket trolleys are all fitted with braked castors to assist with handling and provide a safe solution for stopping the trolley during loading and unloading. Very durable the wire trolleys provide a long lasting, cost effective solution for easily handling small to moderate loads of goods or equipment and they can be easily cleaned down. 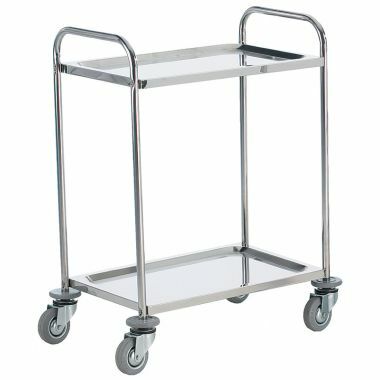 The stainless steel trolleys possess strong, hygienic shelves and are commonly used within the healthcare industry for the transportation of equipment and supplies. 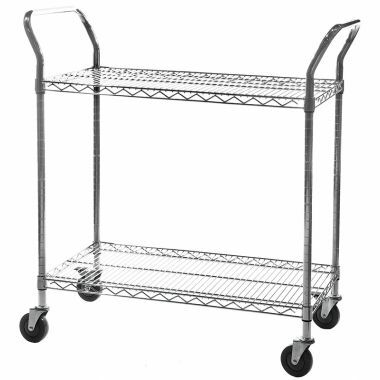 Easy to clean, the stainless trolley is available in a range of different sizes with different numbers of shelves. 1. Our stainless steel trolleys are incredibly easy to handle and highly manoeuvrable. Ideal for high care environments within the food manufacturing, food processing, pharmaceutical and healthcare industries these steel trolleys can be used for a wide variety of applications. 2. 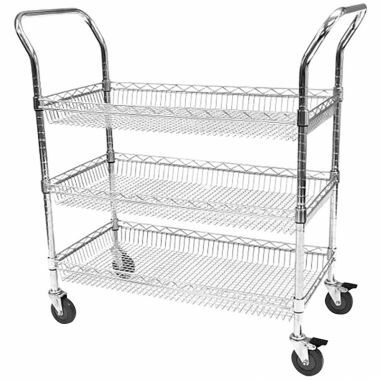 Providing a cost effective solution for handling and storing loads of goods, equipment or supplies the chrome wire trolleys are available with shelves or baskets. Ideal for stock picking purposes the chrome wire, picking trolleys are all equipped with braked castors as standard to enable them to be easily stopped whilst being loaded or unloaded. 3. The stainless steel trolleys and wire trolleys are perfectly easy to clean and maintain ensuring a long lasting handling solution. 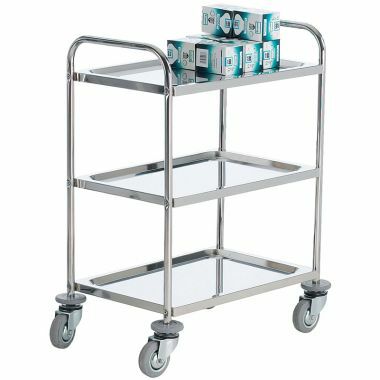 Manufactured from high grade stainless steel, the stainless steel trolley can be wipe clean with ease and has solid lipped shelves that prevent anything being handling from sliding off.